This Wikipedia article provides a brief history impact and current storm information, as of Oct. 5, 2015, when it moved from the Bahamas to threaten Bermuda. On August 28, 2005, Hurricane Katrina was in the Gulf of Mexico where it powered up to a Category 5 storm on the Saffir-Simpson hurricane scale packing winds estimated at 175 mph. At 7:10 a.m. EDT on August 29, Hurricane Katrina made landfall in southern Plaquemines Parish Louisiana, just south of Buras, as a Category 3 hurricane. Maximum winds were estimated near 125 mph to the east of the center. Survivors talk about the impact of Hurricane Katrina, 10 years after the historic storm devastated the Gulf Coast. Get more information about the storm, maps, environmental impacts and more. Through the efficient and responsible application of federal disaster recovery funds, the Department of Recovery is dedicated to the revitalization and restoration of St. Bernard Parish. According to National Weather Service Mt. Holly meteorologist Gary Szatkowski, the thunderstorm that devasted Atlantic County Saturday June 30, 2012 is "a rare type of thunderstorm system called a derecho, which is a “super organized group of thunderstorms. " The homepage of Atlantic County offers current information on cooling centers, water and ice distribution, and other important information. Atlantic County is in the process of collecting data on damages to residences and businesses associated with this st. If you have experienced damage please complete the following questionnaire, or call your local municipal emergency management offices (http://www.aclink.org/oep/mainpages/localemcs.asp). The information being collected now will help Atlantic County in determining which areas of the community need assistance as well as support our request to the State Office of Emergency Management to apply for Federal Disaster Assistance. If Atlantic County receives a Federal Disaster declaration, you will be required to register with FEMA directly to receive aid. The information provided in this report will be forwarded to FEMA but you will need to contact them directly to complete your federal application. On Sunday, May 22, 2011, an EF-5 tornado hit the city of Joplin, Mo., leaving an estimated 132 people dead and 750 others injured, with 156 unaccounted for in Joplin. The information contained inlistings and fact sheets is designed to help in cleaning up homes and communities that have been affected by severe weather, floods and other natural disasters. If your questions are not addressed by the fact sheets and Documents, please call the Missouri Department of Natural Resources at 800-361-4827. 2010 Haiti earthquake occurred at 16:53 local time (21:53 UTC) on Tuesday, 12 January 2010. Describes the devastation caused by the 7.0-magnitude earthquake that hit Haiti on January 12, 2010, the struggle of the Haitian people to cope with the disaster, and the outpouring of international aid that helped them. An account of the Tsunami that struck the Sumatra and the Andaman islands of Indonesia on December 26, 2004. 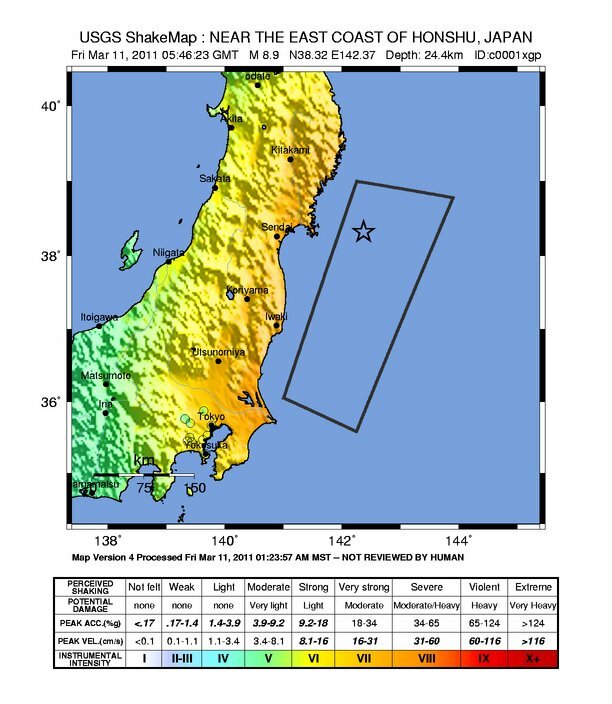 Provides both a summary of damage from the earthquake and tsunami, and a tectonic summary of the earthquake.